Robert Durst has been detained in New Orleans after a warrant was issued by Los Angeles police investigating the murder of mobster’s daughter Susan Berman. The tycoon was arrested just before the finale of HBO’s show The Jinx investigating the alleged crime. Robert Durst has always maintained his innocence in the murder in 2000. 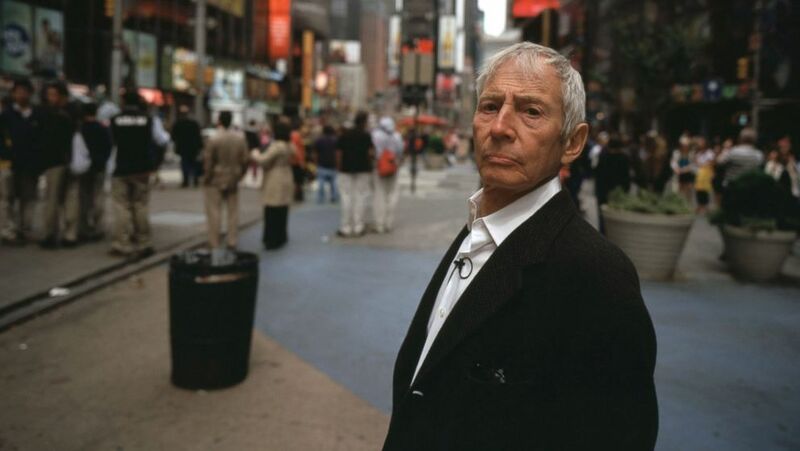 The Jinx: The Life and Deaths of Robert Durst suggested in a previous episode that the property tycoon had written a letter only Susan Berman’s killer could have sent. It sought to match handwriting on a letter from Robert Durst to Susan Berman with that on an anonymous letter sent to police alerting them to a dead body in the victim’s home. Robert Durst’s lawyer, Chip Lewis, said his client would not challenge his transfer to Los Angeles and would continue to maintain his innocence. The tycoon’s estranged family thanked the authorities. “We are relieved and also grateful to everyone who assisted in the arrest of Robert Durst,” said his brother, real estate developer Douglas Durst, in a statement quoted by the Associated Press news agency. Robert Durst, 71, had been previously questioned by police investigating Susan Berman’s execution-style killing. Susan Berman, whose father David Berman was an associate of Las Vegas mobsters Bugsy Siegel and Meyer Lansky, was killed with a bullet to the back of her head in her home, just as investigators prepared to question her about Kathleen’s disappearance. In The Jinx which aired on March 15, Robert Durst is challenged about the letter evidence in a long interview. According to filmmakers, Robert Durst was still wearing his microphone when he went into a hotel bathroom after the interview at a hotel, and he apparently spoke out loud to himself. Robert Durst can be heard saying: “There it is, you’re caught. What the hell did I do? Killed them all, of course”.